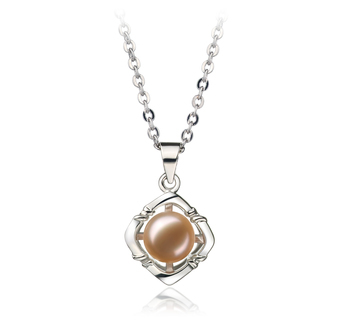 Pearl pendants make the ideal gift for nearly every kind of occasion. 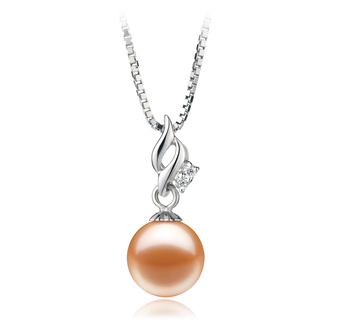 Pink Freshwater pearl pendants have become popular to present as birthday, graduation or anniversary gift. Plus of course, this would make the perfect present for a guy to present to his girlfriend or fiancée on Valentine’s Day. 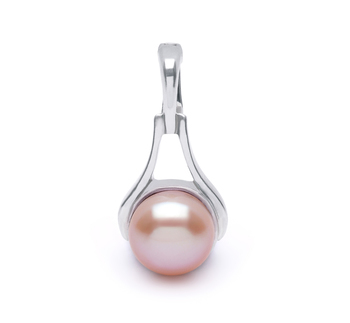 As you take a look through our collection you will see that we a lovely selection of Pink Freshwater pearl pendants for you to chose from. But with such a wide selection to choose from how can you tell which is the right one for you. 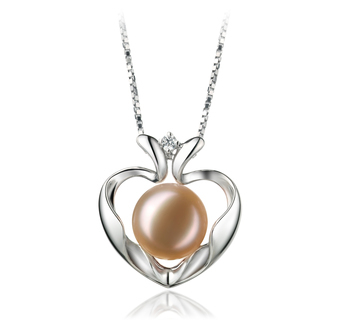 Below we offer up a few guidelines that could help make the whole process of choosing a pink Freshwater pearl pendant necklace a lot easier. As this is going to be worn as an accent to an outfit and with other jewellery then make sure to match the color of the metal with anything she wears. 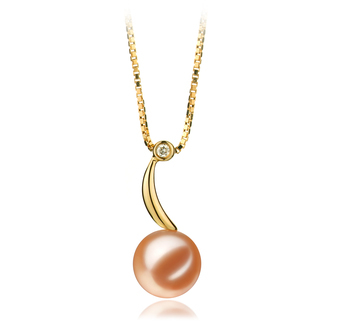 Your safest bet would opt for a pendant with a pale pink pearl in the design rather ones that are much darker or have a rose gold overtone to them. 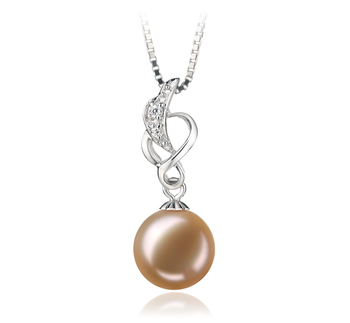 This will help to ensure that the pendant will complement nearly every outfit she wears it with. The chains on which the pendant sits come in a variety of different lengths that range from 12inches through to 36 inches. 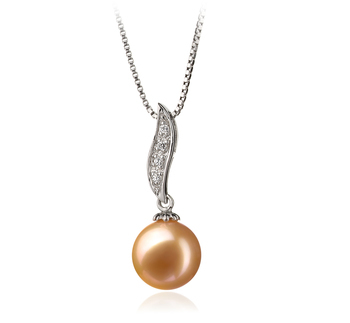 Generally, most pearl pendants come with chains that measure between 16 inches and 18 inches. 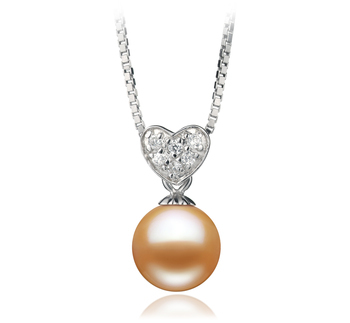 This will then ensure that the pendant hangs down below the wearer’s collarbone but above their chest line. 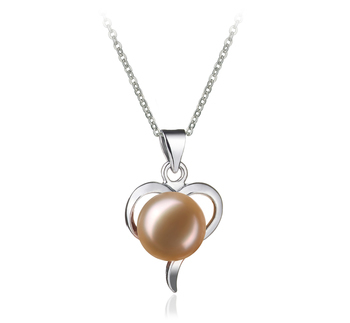 You should take into account the height of the person who is going to be wearing this kind of Pink Freshwater pearl jewellery. 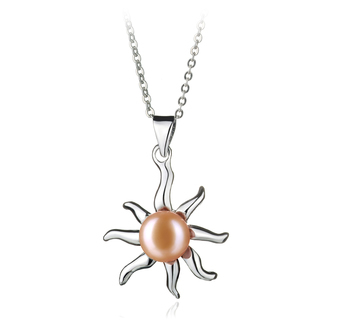 For shorter women go for a pendant with a shorter chain and of course for taller women go for one of our pendants with a chain that is 17.5 inches or longer. 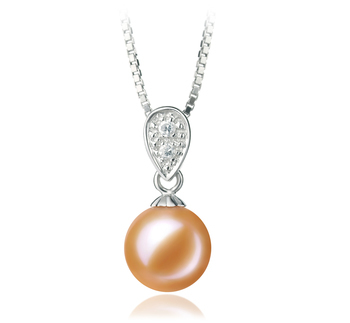 As already discussed Pink Freshwater pearl pendants do come in a wide range of styles. 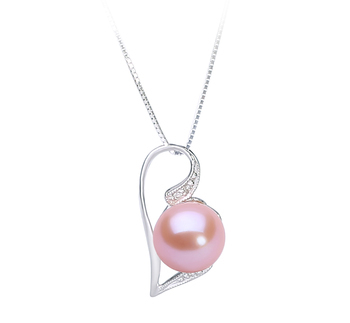 You will need to think carefully about the other person’s personality in order to choose the right style of Pink Freshwater pearl pendant for them. 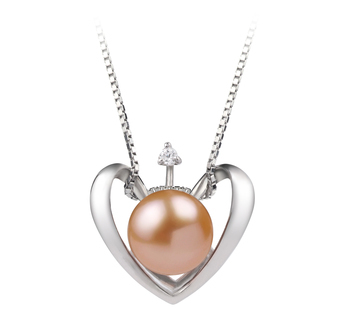 To help you with this part of the decision-making process we take a look at some of the styles that this kind of pink Freshwater pearl jewellery is available in. As well as being versatile this style of is also very fashionable but still maintains a classic look. 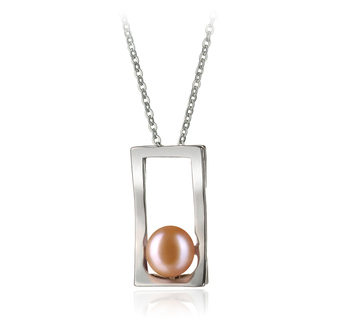 It is the perfect kind of Pink Freshwater pearl pendant to wear every day. 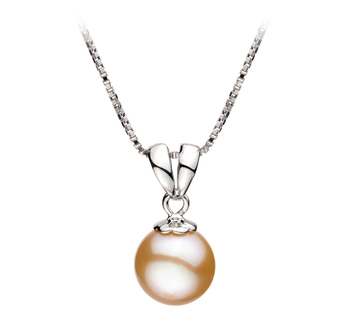 It will add just the right amount of dazzle to any woman’s casual outfit. This style is suitable for women of all ages and will pair well with casual and relaxed outfits. If the person who is being given such a gift has a more playful side to their personality then buy one of our more distinctive designs. For younger women you may find going for a delicate design that is made up of bows or flowers will be a better option. 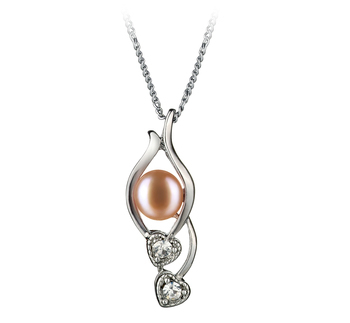 Whilst for more mature women keeping things simple and just choosing a Pink Freshwater pearl pendant with little or no decoration around it would be ideal as it will help to bring out the warmer tones in the wearer’s complexion better. These are very stylish and fashionable and are suitable for wearing by women who aren’t afraid to stand out from the crowd. 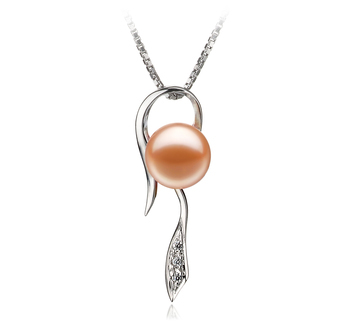 Certainly, these types of Pink Freshwater pearl pendants tend to be popular with younger women and teenagers. They are the kind of pendants that are much easier to pair with other pieces of jewellery, as well as not looking out of place in all kinds of situations. Although very delicate we have some statement pendants that have a chic contemporary feel to them. Such pieces won’t look out of place if teamed with a pair of jeans, a t-shirt and a pair of sneakers or flat ballet shoes. 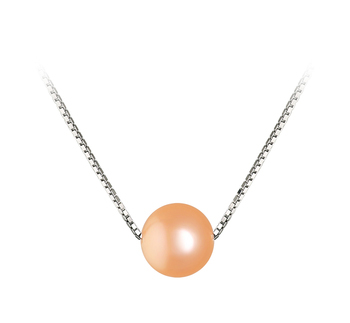 These particular types of Pink Freshwater pendants also look great when worn with semi-formal outfits such as a pencil skirt, white or cream colored blouse and a pair of kitten heels. 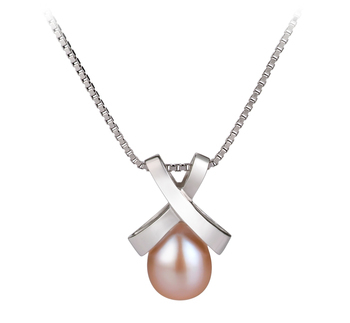 You can also get away with wearing this kind of pearl pendant with a business suit, as it will help to take the edge of the suit whilst helping to make it look more refined. 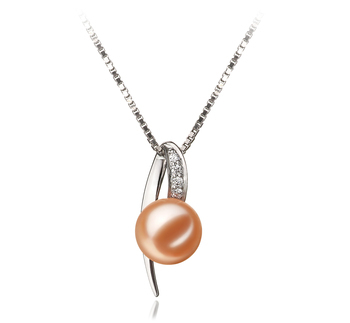 The key is to keep it simple and to wear this on its own, or just with a pair of Pink Freshwater stud earrings. 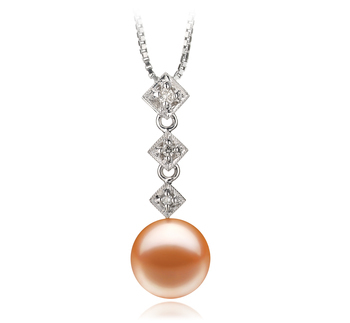 Remember the whole point of wearing any statement pendant is that you want it to stand out. 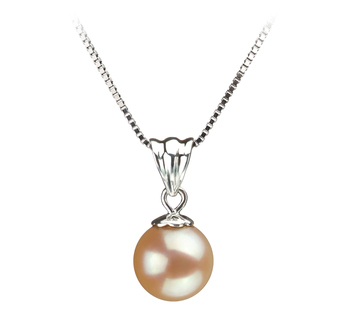 So hopefully the advice that we’ve given above will help make the whole process of choosing on the Pink Freshwater pearl pendants from our collection a lot easier for you.